Along with confidence, Rikoris has put some meat on his bones with his new Specialty Change. When fully runed, Rikoris now has an additional 75% chance to Stun the highest enemy CR when using Supreme Spear, 10% HP/DEF/EFF, 5% bonus Hit rate, 20% extra damage on Dark targets, and several other conditional buffs when low on HP. He shines in the Azimanus raid, where he can keep the boss’s Berserk buff under control easily. Dingo is back, but this time he is blazing into action as one of few damage-oriented healers. His kit heavily encourages building offensively, as healing scales on damage dealt. This opens the oven to very destructive gameplay potential when paired with the Invincibility and Attack buff that he brings to the table. The most refined gentleman this side of Orbis has arrived. This loyal Knight punches far above his weight class, pulling first-rate damage as a DPS and a Dispeller, while still remaining fast for a Knight. He can be a terrifying anti-Cleave option in PvP or a potent DPS for PvE, combining above-average bulk with great damage that only gets stronger as the enemy count decreases. Lidica is a Fire Ranger who focuses on interrupting the enemies’ rhythm through a mixture of CR delays and debilitating debuffs. Her flexibility with both single and multi-target attacks make her a valuable option for a wide variety of PvE or PvP situations, excelling both as an opener or as a pinch hitter. While weak alone, her potential is further accentuated by a team that can take advantage of the extra turns that she provides through her CR delays. Boasting a well-deserved smirk after her upgrade, Mascot Hazel becomes a strong support. She has access to the only targetable Greater Attack buff in the game through A Girl In Uniform (S3). Combined with her strong pinch healing on Urgent Regen (S2), Unhealable debuff on Book of Fire (S1), and AoE regular ATK buff, she is one of the strongest F2P options for a consistent ATK buffer. This does, however, comes at the cost of some heavy rune/energy investment. Kitty Clarissa is a dark warrior with a mix of defensive and offensive support abilities, and can reliably trigger dual attacks from allies. She dabbles in several roles, such as cleanser, stripper, debuffer, and semi-DPS, making her a versatile hero that can fit into many different team compositions for both PvE and PvP. Bellona is a Wind Ranger with a powerful AoE kit that provides long-lasting offensive utility and high damage potential under the right circumstances. Boasting not only a rare AoE Defense Down debuff on Razorwind Fan (S3), Bellona also has the ability to deal max HP% damage with Windbreak Fan (S1). This makes her a great choice for PvE content versus high HP bosses such as Raids and the Abyss, while also allowing her to become a great leading option for cleave compositions in PvP. Specimen Sez is a vicious Thief with immense potential to kill. His unique kit centered around stunning units then obliterating them in fast sequence allows him to quickly dispose of almost any foe he may come against. The latent power of Light Storm (S3) can quickly turn him into the ultimate killing machine when placed into teams that can support his innate reliance on Stuns. The Acolyte Specter Tenebria is a Dark Mage who eludes her opponent before inflicting crippling damage. Typically she works best on teams who can provide debuffs to allow Endless Nightmare (S3) to deal even larger amounts of damage than it already does. Her built in evasiveness can cause her to be a lingering threat, unlike most other mages in this game, while her scaling power allows her endless opportunity. Taranor Guard is an interesting hero with good utility and unique dual attack synergies. As a 3-star hero, he stands out as an easily obtainable specialist for auto Wyvern hunts, but with some investment he can become a potent damage dealer for other PvE and PvP content as well. Wanda is a dark ranger with a unique 2-turn stun and a passive debuff that amplifies damage while decreasing enemy evasion. She can be used effectively in both PvP and PvE as a specialist at controlling single enemy targets by stunning and reducing combat readiness. However, she is strongly countered by stun immunity and effect resistance, which is common among PvE bosses and high-level PvP teams. Chaos Sect Axe--better known as Axe God by the community--is one of the best sustain bruiser Heroes in the game. As is the case for any Specialty Change character, he needs a heavy amount of investment into his Rune tree before unleashing his true potential. But when he does, he has a number of key advantages: innate lifesteal, a high-chance Defense break, and short cooldowns (that can be even further reduced); all the while dishing out considerable damage. 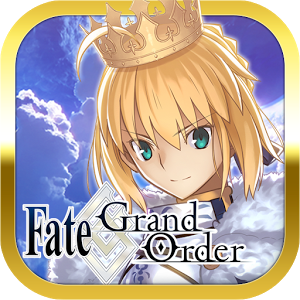 The justice-obsessed queen of extra turns with an utter reliance on Critical hits and lucky procs is here! Just like her single-minded devotion to justice, Karin’s kit is single-mindedly focused on only one thing: CCritical hits. She is extremely good at this, with every portion of her kit doing something extra when she crits. If you can get her to 100% critical chance, you will enjoy consistently above-average DPS, with a good chance to luck into some truly incredible damage. Kayron is a versatile Fire Thief that thrives on the thrill of battle. His damage flourishes as his Health goes down, all while providing both AoE and single-target damage to his team. He also has the unique ability to extend his own buffs when Apocalypse (S3) defeats an enemy, pairing well with Void Slash (S1) that becomes an AoE version when buffed. This ability, paired with Immortality when taking Lethal Damage, creates a formidable threat. Ruele of Light is a PvP monster despite her innocent demeanor. She is incredibly tanky, extremely hard to kill, and a Hero who will often be the bane of many enemy teams. Her skills have short cooldowns while also having strong effects attached to them. As one of the few Heroes who has access to both Invincibility and a Revive Ruele will light the way to victory by protecting her team members. Maid Chloe is one of the rarest Soul Weavers, being the sole carrier of the game’s only teamwide re-raise buff, VIP Treatment. She combines this with a teamwide ATK buff on a relatively short cooldown for a healer who clinches both the support and offense role. No other Soul Weaver can fully protect a team, including themselves, from an AoE attack that could wipe them all immediately. Paired with the correct partners, M. Chloe can be a frustrating defensive option in PvP or a potent offensive force in PvE. Serila is a Halloween-themed Fire Mage with strong single-target damage. Against PvE bosses such as Golem 11, she can also contribute to team survivability by applying Attack debuffs and decreasing the enemy’s Combat Readiness. While her main weakness is having low HP, she somewhat makes up for it with high Defense and the ability to lifesteal. Purrgis is a powerful bruiser with decent AOE damage potential that specializes in counterattacking. As an earth warrior, he works well in Banshee hunts and against certain raid and Abyss bosses. In Arena and Guild wars, Purrgis can be built to withstand attacks from heavy single-target fire heroes while dishing out frequent counterattacks to punish your opponents. Fighter Maya is one of the most durable tanks in the game, with high defensive stats and a unique passive ability that both cleanses and grants her defense buffs whenever attacked. She excels in soaking up repeated attacks from enemies, and because of her light element typing, she can be used in PvP to bait out hard-hitting dark element heroes. She is commonly recognized for having a uniquely satisfying Finishing Attack animation. Rose is an all-rounder Hero with an extremely diverse supportive kit. She has ATK buff, CR push, Cleanse, and Provoke all crammed into her skills, allowing her to fulfill more roles than the average Knight. Her S3 is one of the best skills for starting fights and works great with cleave teams. However, her low base Speed stat will require heavy investment to fully utilize her skillset. General Purrgis is a strong PvP opener or an excellent lategame PvE tank on single-target boss fights (specifically for Wyvern 11). The latter build requires him to be very tanky and is NOT an early-game build. Strong teamwide CR gain remains one of his main advantages in both modes though, provided he is hit and activates Spearhead. His guaranteed 2-man stun in PvP, along with his teamwide Attack Up buff, makes him ideal for cleave team compositions. Shadow Rose is one of the most generally useful units in the game. Well known for her power in Arena, her abilities still shine in all content. She can dramatically swing Combat Readiness in your team’s favor, and provide some of the most consistent Defense Down in the game. Since she is a dark unit, she can provide this regardless of the elemental type of the enemy she is facing. Sez is an indespensable Hero for beginners, but can shine even through mid and late game with the correct team composition. 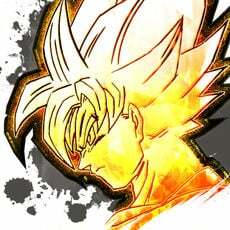 His Conviction (S3) is a powerful nuke that can quickly end fights, but to use it to its full potential means he would be sacrificing Speed. He is also efficient in leveling fodders and farming for catalysts due to his cleave. However, the conditions for Encroach (S2) means that he will need a few turns to reach his power spike, or needs to be compensated by his team. It also makes him weak against bosses with high HP. Arbiter Vildred has turned on his allies to harness the power of the Archdemon. With this new power he is one of the few Heroes who will deal AoE damage with all of his offensive skills, as well as deal damage that increases as enemy Health decreases. . He will also cripple the enemy with the continuous CR decrease on Sweep (S1) and Hit Chance Decrease on Dark Contract (S2). Given his strengths, Arbiter Vildred can be formidable in both Guild Wars and Arena, as well as a successful farming Hero. Haste is considered one of the best heroes to reroll for at the start of the game, due to his versatile combination of damage, utility, and healing abilities that can carry early-game teams through the majority of PvE content. He is one of very few DPS heroes with a team-wide healing ability, in addition to having a unique lifesteal debuff that allows himself and his allies to recover additional HP when attacking the debuffed enemy unit. Tywin is a premier single-target tank optimized for taking the brunt of boss damage. He serves a dual purpose as a debuffer/buffer, yet his speed and personal CR boost allow him to keep up with the best damage dealers. This additionally allows him an additional role in arena cleave teams as a leading AoE breaker. Cecilia’s ability to provoke multiple enemies at once makes her a queen among knights. With excellent base stats and abilities that scale with her HP, she can be built into a monstrous tank with huge damage potential that excels against multiple enemies. Although she requires relatively high investment into her skills and gear in order to shine, she can become an invaluable asset for your team in both PvP and PvE. To say that Chloe is the fastest and hardest-hitting warrior is not an understatement. She can contribute greatly to the team with her signature Magic Nail debuff, or go for broke with an extremely damage-focused build. Either way, she is sure to leave a dent in the enemy. While she is unfortunately not an early-game hero, she excels at fights deeper in the game, with access to max HP% damage and very high burst damage. Heir of the Sixth World, Judge Kise is a light Warrior with fairly unique utility. 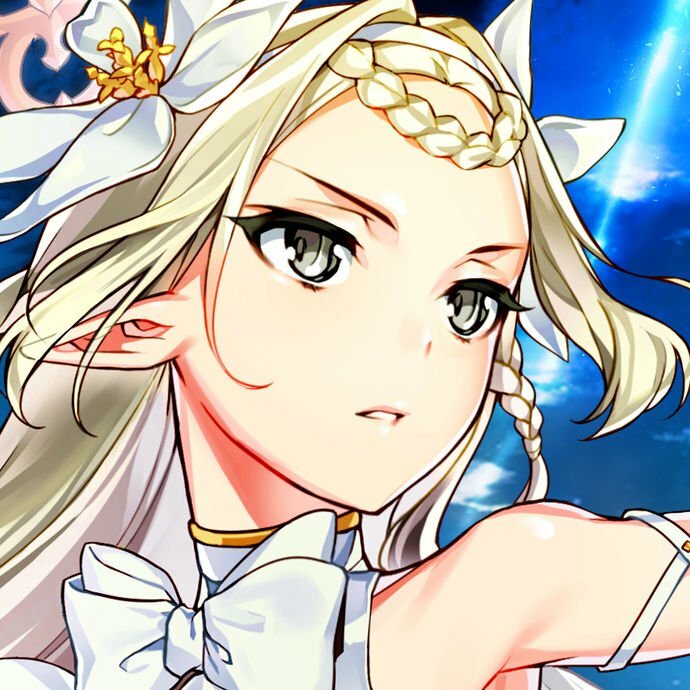 Her priority asset is the utility that Wave of Light (S3) contributes as an opening skill by extending enemies’ skill cooldowns up to three times. This allows her the flexibility fitting into many PvP compositions while still adding unique utility to PvE teams that you will typically not find. Iseria is an incredibly versatile support Archer who nonetheless excels in damage. She possesses the unique ability to reset the cooldowns of other heroes in combat, and is the sole carrier of Unbuffable/DEF break in one skill. Her ability to fill any role (other than tank) and excel at it is praiseworthy. 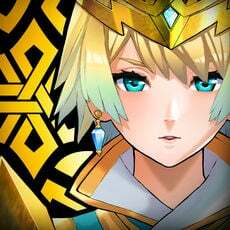 She works as a stellar DPS and force multiplier for your strongest units. The last living Nocturne Ludwig is an Earth Mage with immense burst potential. His incredibly high base Attack paired with Call of the Full Moon (S3) allow for him to be a perfect Hero for cleave compositions. While not often seen used in PvE content Ludwig can still hold his own in both Banshee and other areas. His kit also offers a combination of surprising tankiness, buff stealing, and a Stun on top of the already strong Defense Penetration. A visitor from another dimension! Martial Artist Ken has come to challenge his greatest foe. This Dark Warrior brings an extremely versatile skillset to any team, allowing for a very reliable Hero investment. The Coming of Asura (S3) offers an AoE Defense Break, while Knockout (S1) weakens the foe. If you happen to pull this extremely rare Hero, prepare to take on the world kicking and punching. 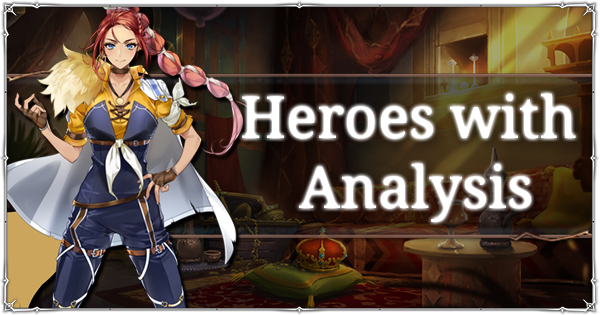 Kise is an interesting teammate who functions as a standard attacker in most content, but also has several niches that she can fulfill to empower the team in specific content.